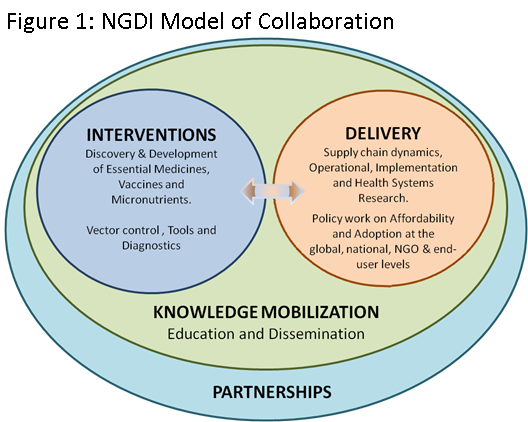 Knowledge mobilization is one of the core functions of the NGDI and is influenced by its location within a research-based institution. It involves the creation of a knowledge base within UBC, the training and education of undergraduate and graduate students to develop an understanding of the issues surrounding neglected global diseases, and the translation of knowledge gained through research to target audiences in lower and middle income countries, the Canadian research community and world funding programs. In order to build a knowledge base within UBC, the NGDI hosted the First Neglected Global Disease Symposium on Sept 18-19, 2010 on the UBC campus. This was a well attended event and and provided faculty and students with a good overview of issues involving implementation, funding, treatment, intellectual properities, vaccine development and policies around access to medicines. To view selected videos from the event, please visit the link on the right. A smaller seminar was sponsored during UBC’s Celebrate Research Week, co-sponsored with the Universities Allied for Essential Medicine-UBC Chaptor student group. This event “Creating Change, Creating Impact“, was a short seminar with four UBC speakers and a student poster session. To view the videos from the event, please visit the link on the right. Students themselves have been eager to learn about neglected global diseases and we have listed the two Student Directed Seminars that were held in 2008 and 2010. The education of undergrads and graduate students is an important future project of the NGDI and more information will be forthcoming soon.